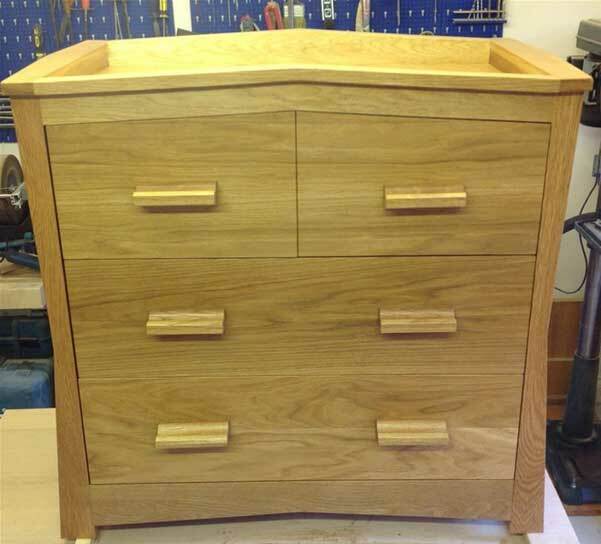 iWood's main product is European Oak. 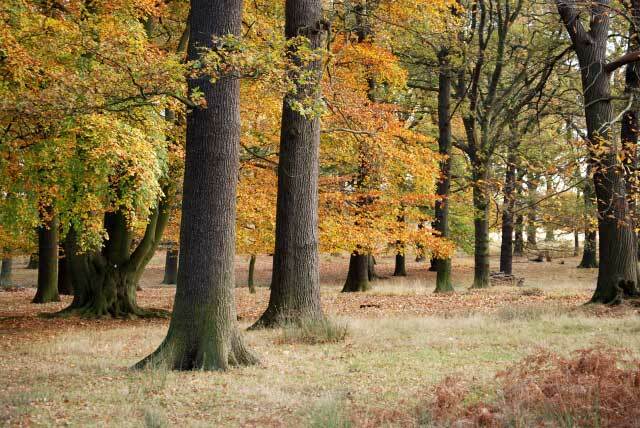 The oak is grown in FSC© responsibly managed forests, meaning that trees are replanted and the workers get a fair deal. The FSC© program is the only one globally endorsed by Greenpeace and the World Wide Fund for Nature. 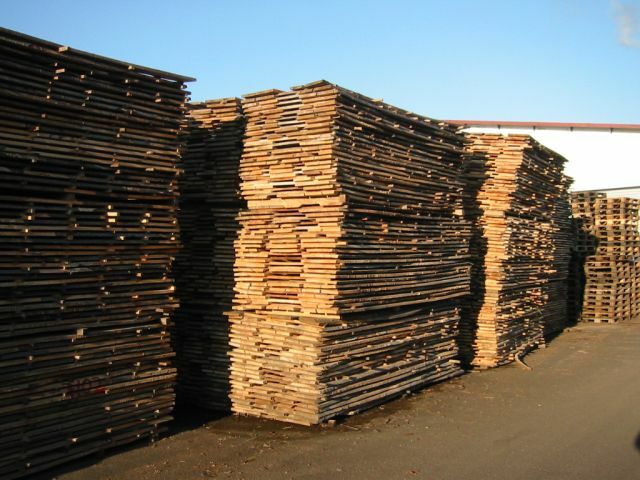 The best time to fell the trees is in the winter, when there is less sap in the body of the tree, so less drying is required and making the finished wood more stable. 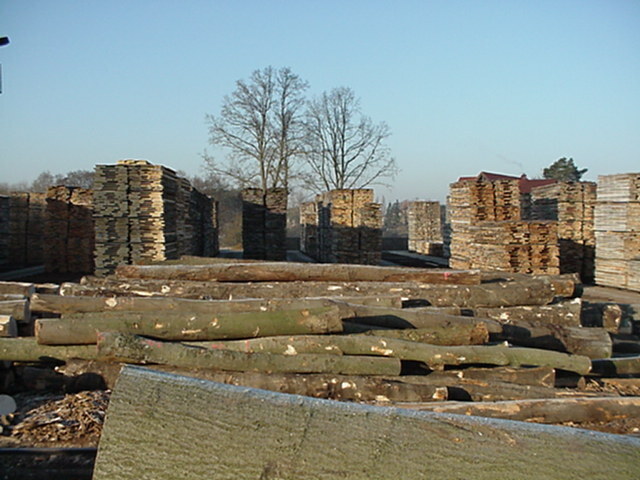 The timber is taken to the saw mill where it is cleaned and checked for metal (many a saw is lost due to hitting stones or remains of a farmer's fence). 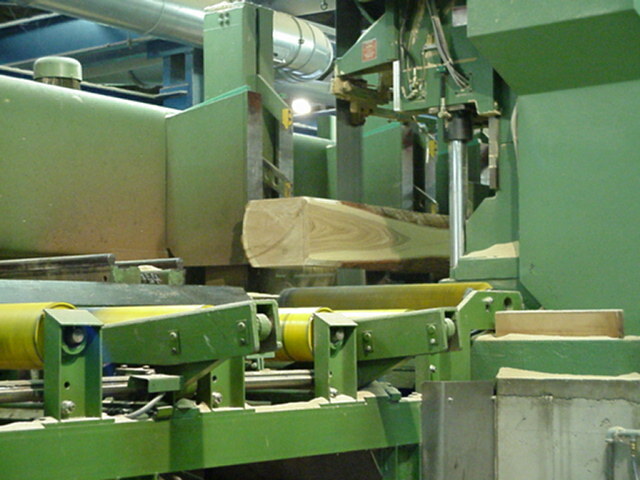 In modern sawmills, computer-controlled machines cut the trunks of the trees into boards of different thicknesses in preparation for them to be dried. 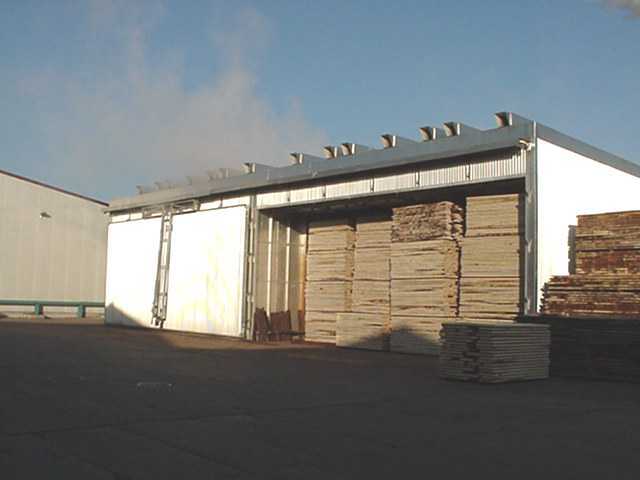 There are two methods of drying timber, air drying and kiln drying. 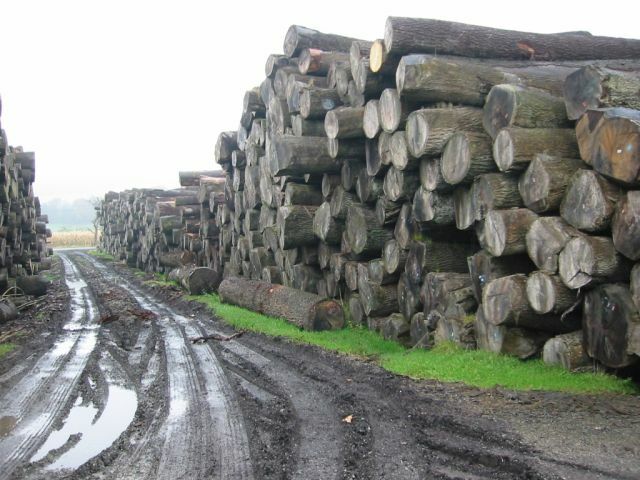 When a tree is felled, it has a moisture content of approximately 60-70% (this means 60 – 70% of the weight of the tree is present in additional water). 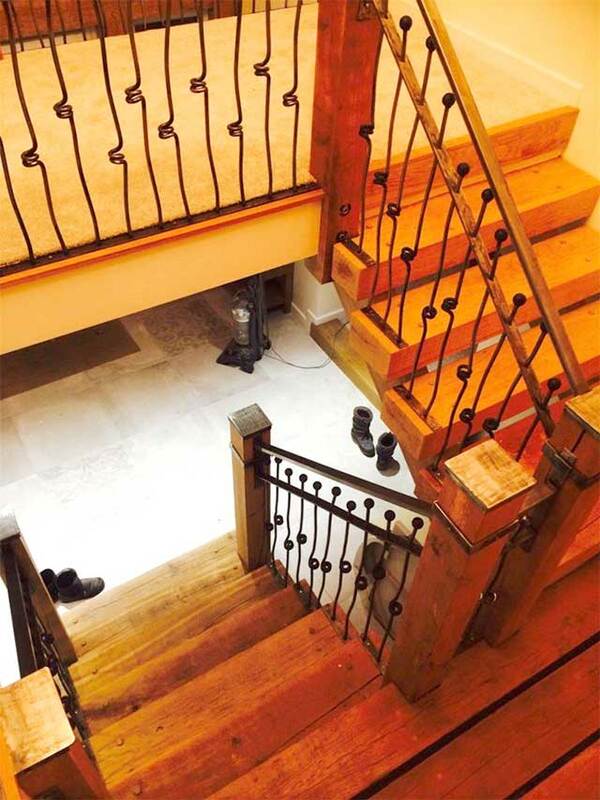 With air drying, the moisture content can be brought down to around 25 – 30%. At this moisture level, all of the capillaries in the tree have drained of water, but the actual cells of the tree retain their moisture. 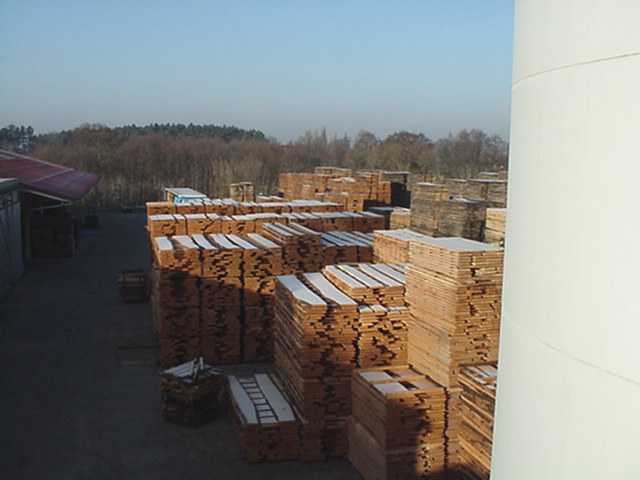 To get lower moisture contents, the timber has to be kiln dried (see below). 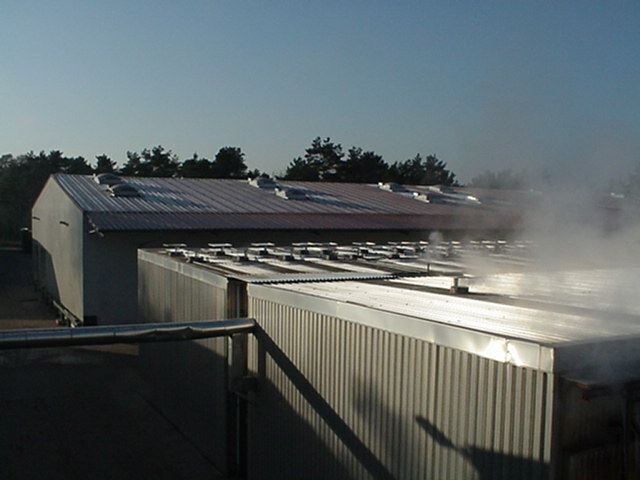 Here we see oak air drying prior to kilning. Here, Beech is air drying in an open sided storage shed. The sawn timber is placed into huge kilns where it will be heated to drive the moisture out. 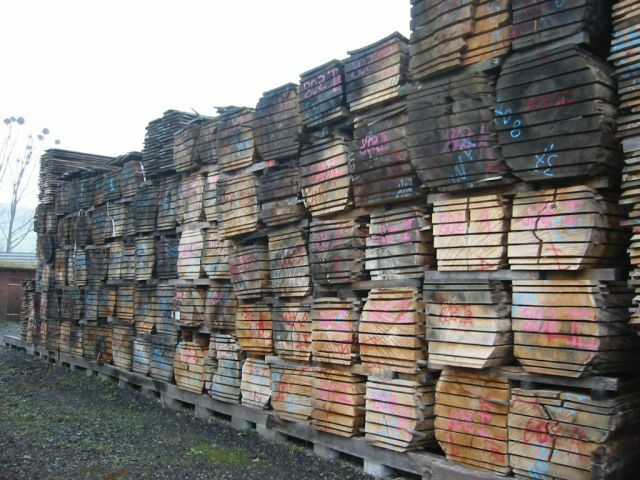 Depending on the thickness of the timber, it can stay in the kilns from a few weeks to a few months, with thicker timber requiring longer. 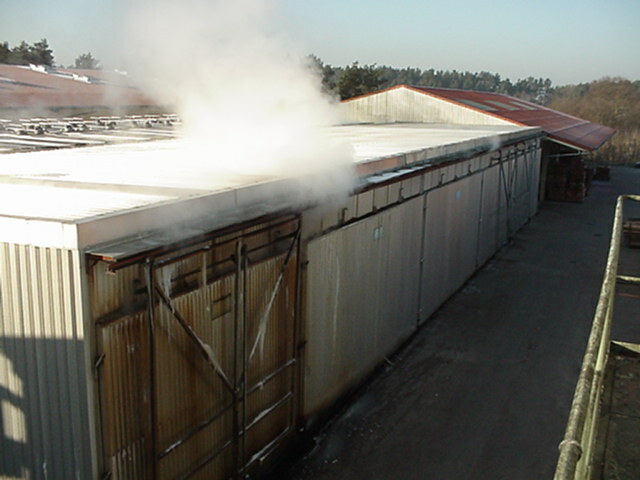 Here you can see the moisture escaping from the kilns as the timber is heated. 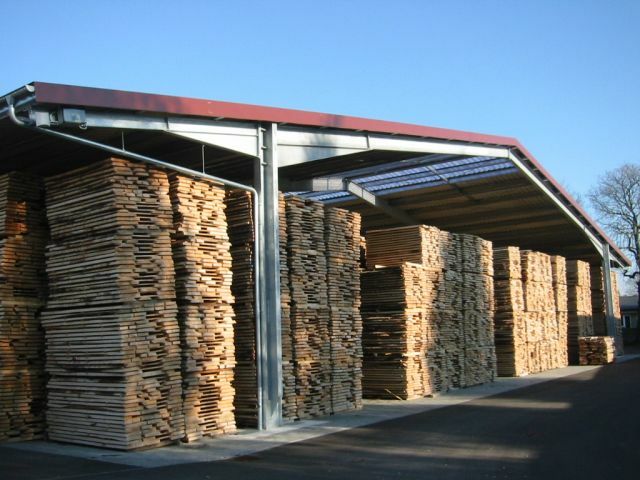 The timber, in this case European Oak, is kiln dried to a moisture level of around 10 – 12%. 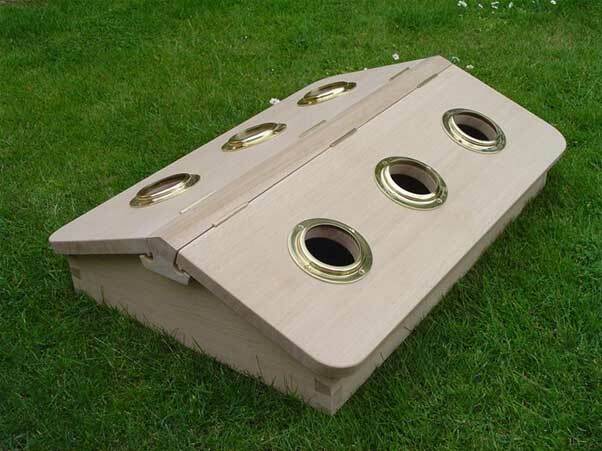 This keeps movement in the end product to a minimum as the vast majority of the moisture has already been extracted. 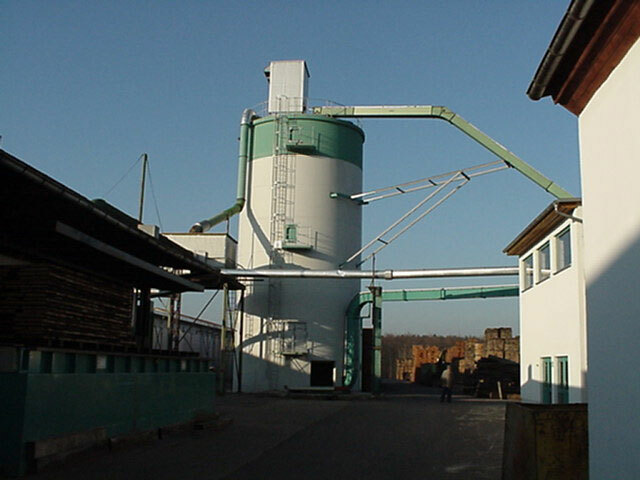 This building is essentially a giant vacuum that collects the sawdust from the machining of the timber. 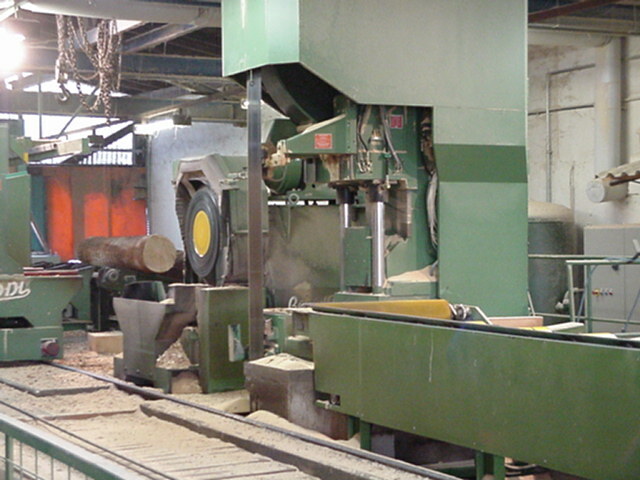 The sawdust is then burned to produce the heat that is used in the kilns to dry the timber. 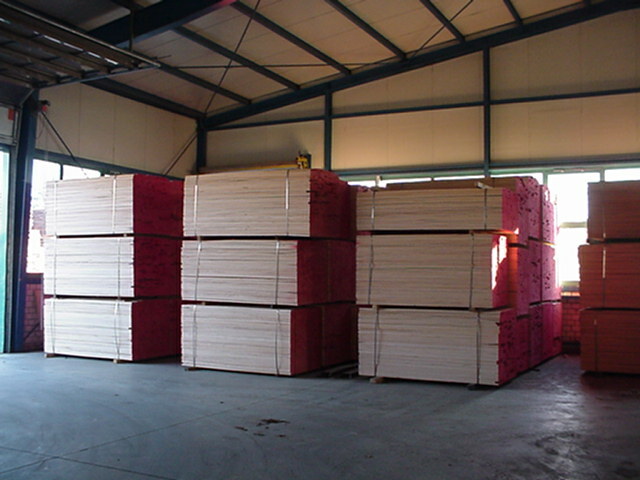 Once out of the kilns, the timber is bundled up into the packs. 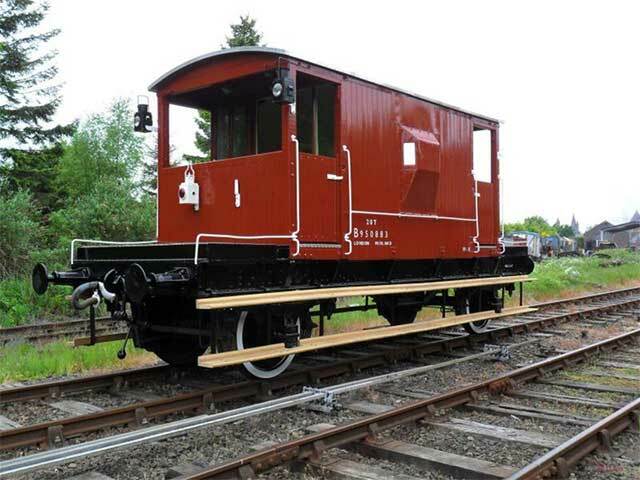 The timber is then brought into the UK by iWood on a weekly basis or used to be planed or machined in to the products listed on our website ready for our customers to create their own products with. 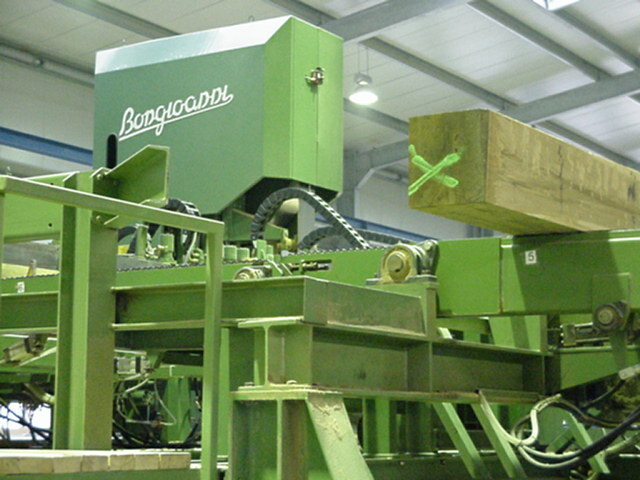 As a member of FSC© (Forest Stewardship Council), iWood is part of an important chain of responsibility. The FSC© managed forests are constantly being replanted to replenish the supply, allowing the cycle to continue.